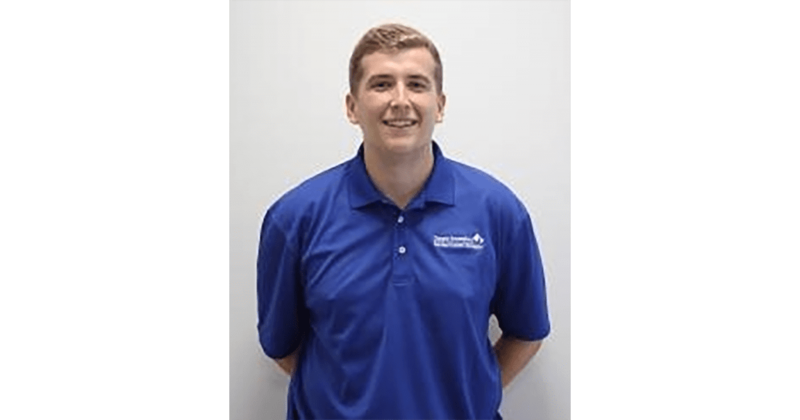 Currently I am employed as a Facility Coordinator Professional Intern here at Eastern Illinois University Campus Recreation. I took this position after completing my Facilities Graduate Assistantship here at Eastern as well. On top of this I also teach in our Kinesiology Department and serve as the Director of Operations for Eastern’s Men’s Soccer team. My responsibilities in my position with Campus Recreation include overseeing all aspects of the day to day operation of the facility as well as serving as a direct supervisor to our Graduate and Undergraduate Staff. My first real experience in recreational sports was in High School when I would organise multiple local competitive Soccer teams to afford me and my friends the opportunities to compete that were not provided to us by our Schools. I continued this passion during my undergraduate degree at the University of Winchester in England, when I served on the committee for our Club Ultimate Frisbee team. Whilst recreation at the collegiate level is nowhere near as sophisticated or well developed as you guys have it over here in the states. These experiences showed me that recreation was an area that I was deeply passionate about. I was first exposed to the American notion of ‘Campus Recreation’ when I participated in a study abroad trip to Eastern Illinois University in the Fall of 2015. I was impressed with both the facilities, and the recreational sporting opportunities on offer to students. When I heard about the possibility of returning to Eastern to complete my Master’s Degree whilst working in Campus Recreation I jumped at the chance and the rest is history. I have always held a passion for sports, and I strongly believe that sporting opportunity, both competitive and recreational, hold a very important place in both the campus and wider community experience. I definitely think that all campus recreation departments around the country do an excellent job in providing these experiences for their patrons. Personally, as a patron as well as a professional I have had some great times using the services provided by campus recreation. Participating in intramural sports was one of the main ways my friends and I would get together and socialise during the week. Something that if it were not for IM sports might not have happened so regularly due to our busy Grad school/GA Schedules at the time. We also won 3 Soccer Championships in a row so that was kind of fun too (I had to mention that somehow, apologies). The part of my job that I enjoy the most is the daily interactions with both patrons and student workers. We have cultivated a very welcoming and family style culture at EIU, and it is one that I love to come to work in every day. My favourite sports team is probably one that almost none of you will have heard of. The team is Peterborough United, also known as “The Posh”, my home town Soccer team from back in England. They currently play in the third tier of English Soccer in ‘League One’ 2 tiers below the ‘Premier League’.